Bach's "first" Concerto for Two Harpsichords in C minor from approximately 1730 is a transcription of a now lost concerto for two solo instruments and string orchestra. 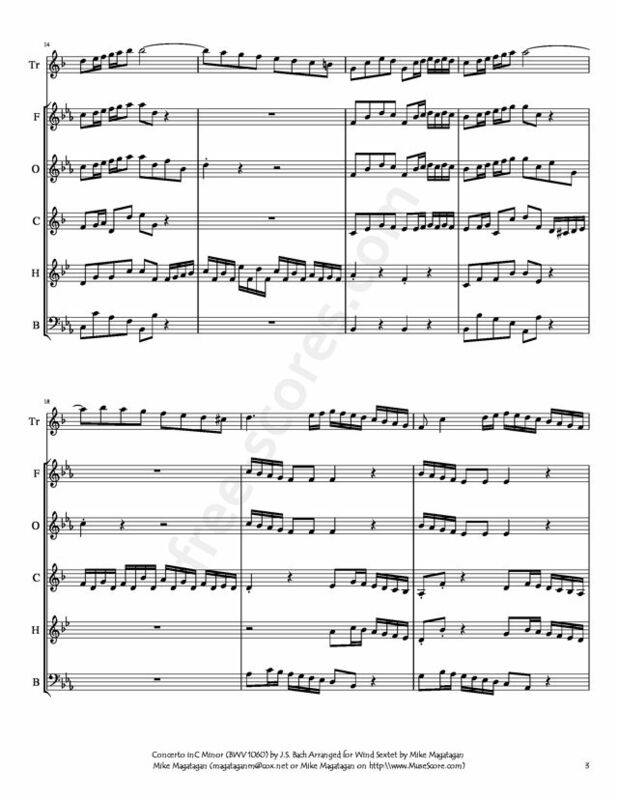 Scholars conjecture that the earlier concerto was intended for violin and oboe soloists and it has been reconstructed in this form (also BWV 1060). 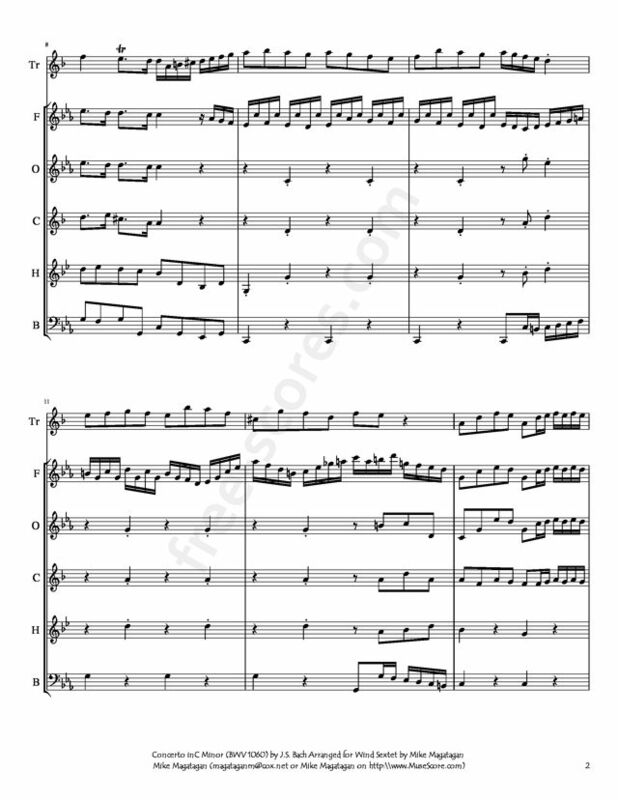 As in all of Bach's concertos for solo instruments and orchestra, this concerto is laid out in three movements: two fast outer movements here marked Allegro enclosing a central slow movement here marked Adagio. 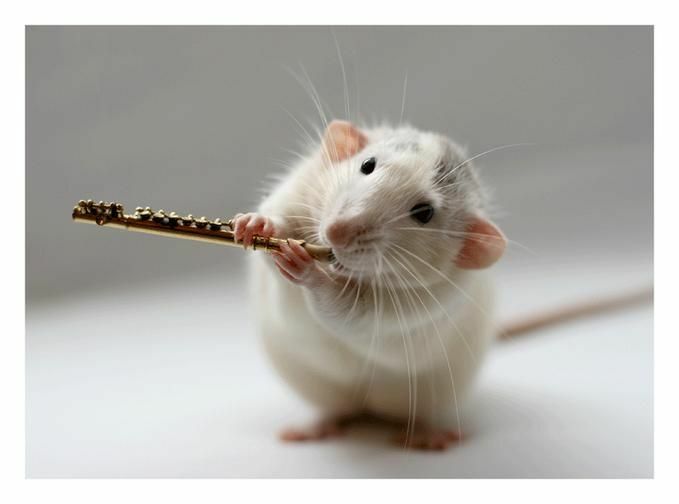 With its echo effects between the two soloists in the outer movements and its long cantabile lines in the central movement, the C minor concerto is skillfully written for two soloists. 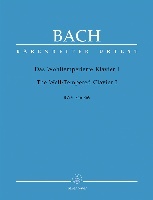 However, like Bach's later transcription of his Concerto for Two Violins in D minor as another Concerto for Two Harpsichords in C minor, some critics question the effectiveness of substituting two keyboard instruments for two melodic instruments and point out the thicker textures of the two-harpsichord concerto as demonstrating the inferiority of this version of the concerto. Other critics assert that, when performed on lighter instruments by players with more supple technique, the two-harpsichord concerto is in no way a lesser work than the proposed violin and oboe concerto version. Source: AllMusic (http://www.allmusic.com/composition/concerto-for-2-har psichords-strings-continuo-in-c-minor-bwv-1060-mc000266 0178). 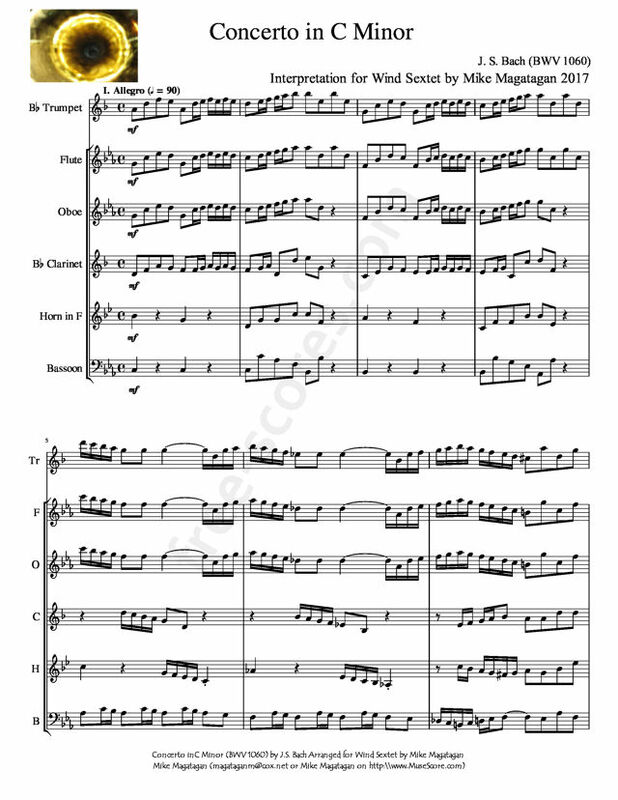 Although originally written for 2 Harpsichords, Strings and Continuo, I created this Arrangement of the Concerto in C Minor (BWV 1060) for Wind Sextet (Bb Trumpet, Flute, Oboe, Bb Clarinet, French Horn & Bassoon).